Termites are more than just a nuisance. 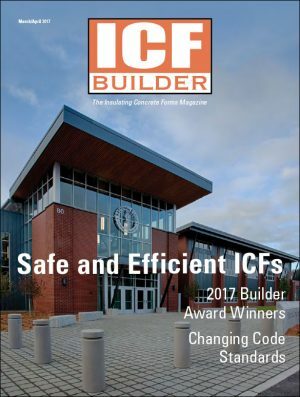 They cause an estimated $5 billion in damages every year in the U.S. And they have led to Insulated Concrete Forms (ICFs) being banned below grade in certain jurisdictions. 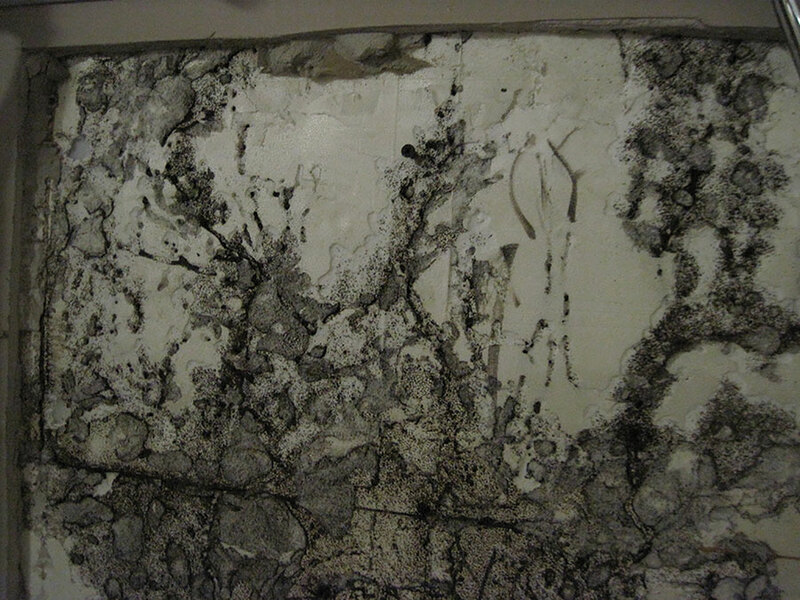 Termites will tunnel through untreated EPS foam, as this photo of an ICF basement clearly demonstrates. Termites live in most areas of the United States, but the vast majority of damage to structures (about 95%) is caused by subterranean termites that live in the warmer, wetter parts of the country. The U.S. Forest Service tracks areas of infestation, and have marked out regions where termite populations are low, moderate, heavy, or very heavy. See the map on page 24. Most of the Southeastern U.S. (Florida, Georgia, South Carolina, Alabama, Mississippi, Louisiana, and the eastern half of Texas) have “very heavy” termite risk, as does all of Hawaii and the entire state of California. In these regions, building codes ban the use of all below-grade rigid foam unless an “approved method of protection” is used to gain an exemption. Note that conditions vary by neighborhood, and local code officials may require termite protection outside the “very heavy” areas indicated on the map. 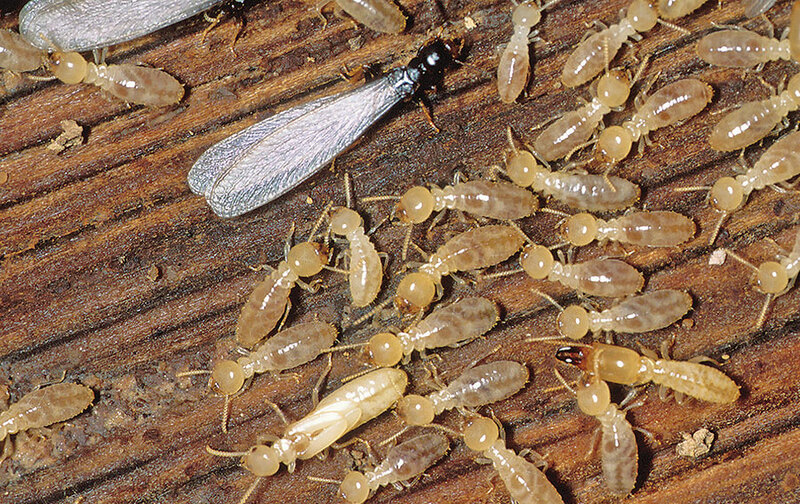 Termites avoid light, are attracted by moisture, and eat only wood or wood-based materials. Neither the Expanded Polystrene (EPS) foam nor the polypropylene webs provide any nutritional value to the termites. However, the insects burrow through the foam anyway, seeking food sources elsewhere in the structure. 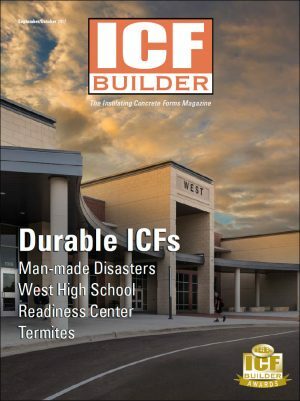 Because the structural strength of an ICF wall is in the concrete, termites cannot compromise the strength or integrity of an ICF wall assembly, like they could with a wood framed home. However, they can burrow through the foam to reach untreated wood making up the walls, floors, or roof. Even worse, the foam allows them to work undetected, and makes treatment difficult or impossible. building code language currently states: “In areas where hazard of termite damage is very heavy… clearance between earth and foam plastics applied to the [above grade] wall shall not be less than 6 inches” and “In areas where termite damage is very heavy…, foam plastics including expanded polystyrene shall not be installed below grade.” Corder says this blanket ban is an overreaction, and does not allow for the many solutions that have been developed to keep termites out of the foam. 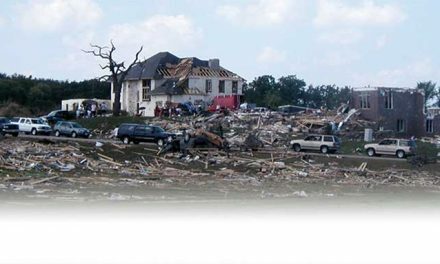 In some areas, a sand barrier can qualify. The sand layer must be at least 6″ thick under and around the ICFs. Additionally, the stone particles must be of a specific size and density; small enough that termites can’t squeeze between them, but heavy enough that the insects can’t move them. Common options include 16-grit sand made from lava or basalt, and a proprietary crushed granite product called Granitgard. Polyguard XT and Tamko TW-60 have a similar chemical composition and thickness so they’d be expected to perform similarly, but have not been specifically tested for this use. 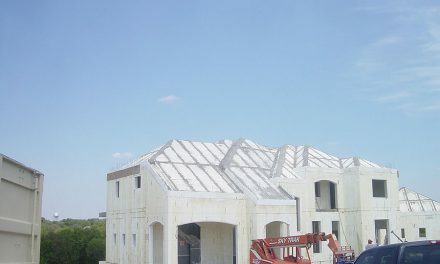 The technical department at Fox Blocks recommends Polyguard Products, Inc. 650 XTM or 650 XTP waterproofing and termite protection membrane, saying, “These two products have been evaluated and approved by SBCCI PST & ES to be used as both a waterproofing and a termite protection membrane for ICFs.” (SBCCI is the Southern Building Code Congress International, a code body that regulated most construction in the southeastern U.S. for much of the 20th century until it unified with the IRC/IBC in the mid 1990s. )The SBCCI PST & ES evaluation report number is #2136. Other materials, such as the stainless steel mesh Termimesh, might also qualify. It would be installed on the outside of the waterproofing. In some areas, cementitious coatings are considered impervious to termites. Termite shields are made from metal or durable plastic and placed as a cap extending across the full width of the ICF sidewall. The concept is to force the termites out of the sheltered environment of the foam. As the insects avoid light, they will create a mud-walled tube to travel in. The termite shield will force the bugs to build these telltale mud tubes over the barrier, and will alert an inspector to their presence. To be clear, the termite shield doesn’t actually block their travel; it merely forces them into the open. 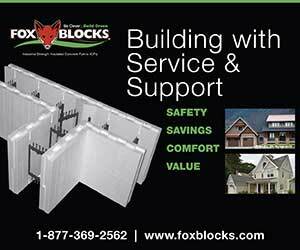 BuildBlock recently introduced BuildShield specifically for this application. 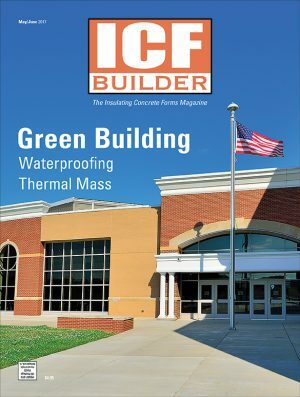 “BuildShield Termite is the only ASTM E283 tested solution for ICFs in termite prone areas,” says Corder. 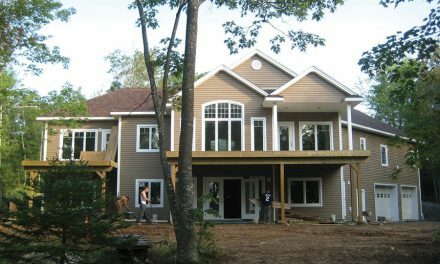 The product is made from PVC extrusion track and stainless steel, and extends from inside the concrete core to the exterior wall finish. Unlike other shields that simply force termites to the exterior, BuildShild ties to the exterior finish to create an impenetrable barrier. 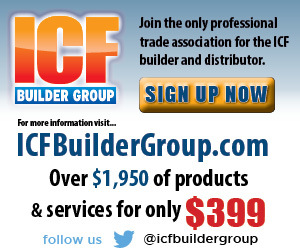 This product is compatible with any ICF systems using a 2.5″ thick foam panel. Another solution that forces termites into the light is to remove the exterior foam in a six-inch strip around the entire building just above grade. This “inspection strip” allows mud tubes to be discovered. If mud tubes are present, a pest control company would need to come and treat the home to prevent damage. In some parts of the country, this is more difficult than it sounds. In November 2014, two University of Florida professors published a paper outlining the challenges of termites in below-grade foam. They write, “Because foam boards are impermeable to liquid insecticides applied to the soil, termites in the boards are unaffected by the insecticide treatments and continue to use the foam boards as a pathway into the structure. Because of these problems, many termite control companies either refuse to treat structures with foam board insulation or offer no guarantee for the treatments.” They state that fully one-third of the 225 pest control companies surveyed refused to treat houses with foam insulation, and of those that did offer treatment, only a third offered any sort of guarantee of effectiveness. Perhaps this is why the Clemson study and the codes recommend starting all foam insulation six inches above grade to provide for inspection and treatment, and stripping the outside foam face off all ICFs used below grade. New technology may be a game-changer. 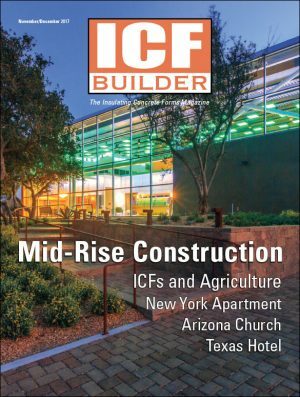 A new insecticide, imidacloprid, has proven to be extremely effective in rendering EPS termite-resistant. In the past, borate has been used, but time has shown that it “does not provide sufficient protection against burrowing insects when used with EPS.” Imidacloprid is different. It’s a neonicotinoid, chemically similar to the nicotine compounds that keep tobacco leaves pest-free. It was originally developed as an agricultural pesticide in the mid-1990s, and then was used in pressure-treated lumber as that industry phased out more dangerous copper arsenic products. In 2011, the chemical company Lanxess obtained EPA approval to use imidacloprid in EPS foam under the name Preventol TM-EPS. Imidacloprid is fully certified by the International Code Council Evaluation Services (ICC-ES) as an approved treatment against insect attacks on EPS (see ICC-ESR 2918), and meets the requirements of ICC-ES AC239, Acceptance Criteria for Termite-Resistant Foam Plastics. Additional precautions include carefully sealing all pathways through the wall. Penetrations through the wall for utility lines or outdoor electrical receptacles should always be sealed. 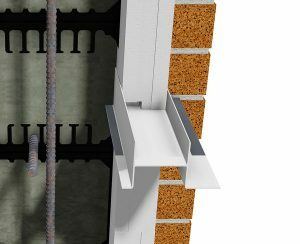 Cracks or expansion joints should be filled with silicone caulking or cementitious mortar. Cold joints can also be sealed with waterstops or other mechanical seals that are embedded into the concrete. 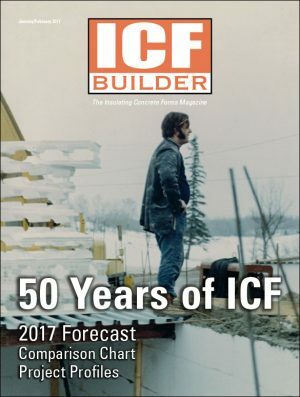 The ICF Builder article states that the use of 16-grit sand barriers are an effective form of termite exclusion. However, particle barriers measuring 16-grit have shown only partial effectiveness against subterranean termites. Additionally, size 16 alone will not stop termites. [Collaborative research by Texas A&M University and Polyguard Products, Inc.] has shown that it takes multiple particle sizes to stop all foraging subterranean termites. It should also be noted that 16-grit, or 16 mesh, sand is not commercially available. Sandblasting sand can be purchased in bags marked “16”, but “16 grit” is the largest particle and contain a mixture of smaller particles. Particle barrier research has shown that the particles must be larger than 16 mesh for termite exclusion. Use of 16-mesh sand under and around ICFs could result in the failure of an intended termite barrier. Particle size: Sand barriers should contain a mixture of particles measuring 8, 10, and 12, with very little outside that range (ASTM sieve sizes). as measured by Moh’s Hardness Scale. Particle angularity: Particles should have an angularity of 2700-plus as measured by the Aggregate Image Measurement System (AIMS). Interstitial space: Space between compacted particles, or interstitial space, should equal 35-45 percent voids as determined by a displacement test. Additionally, other important sand barrier properties such as particle angularity, weighted particle size, and fineness modulus were evaluated and defined. 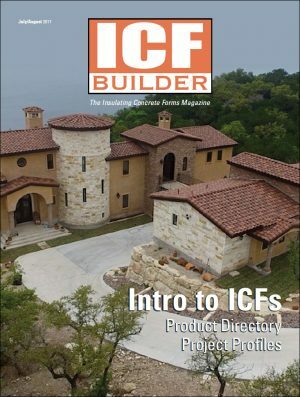 Thank you again for your efforts to help ICF builders specifically to address a major issue in the industry. 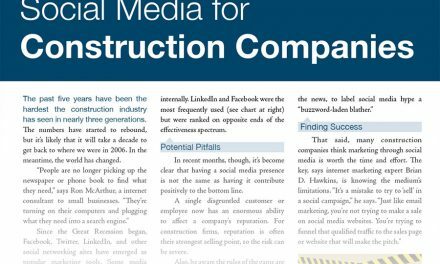 This is something very important for homeowners, manufacturers and builders alike. We look forward to continuing to work with you to highlight ways to mitigate the issue and make construction methods even better in the near future. 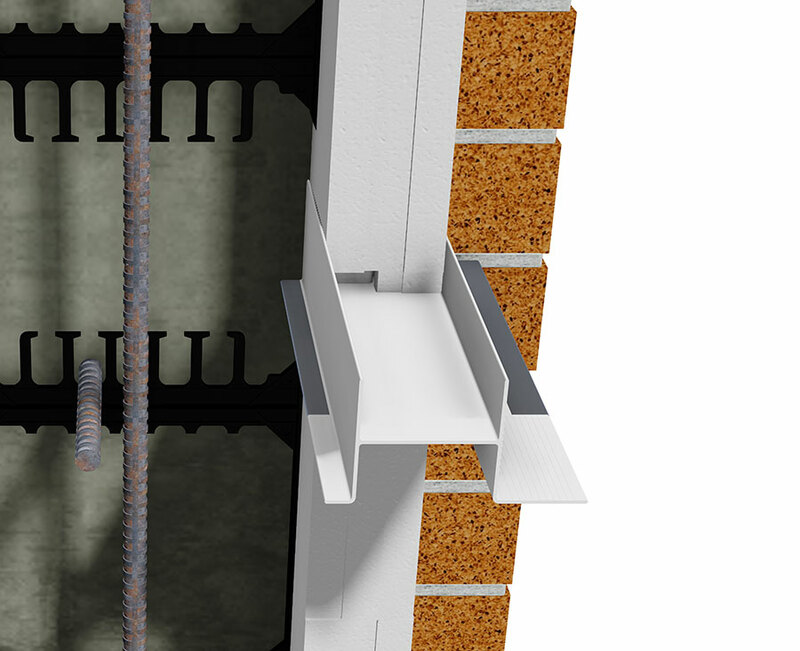 BuildShield Termite is the only ASTM E283 tested solution for ICFs in termite prone areas. The product is composed of a PVC extrusion track adhered to a stainless steel barrier. The track and stainless steel barrier extend from inside the concrete core to the exterior wall finish creating an impenetrable barrier to termites. 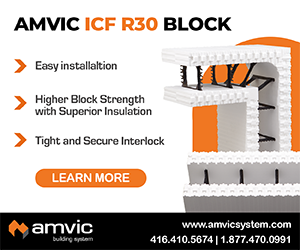 This product is compatible with any ICF systems using a 2.5″ thick foam panel. Also, Preventol has been discontinued in the past two years at all facilities.